We are so happy spring is almost here! This week temperatures here in NC are going to be much more spring like and my family couldn't be happier! Since the Etsy shop is back open (and will stay that way all year! ), there will be monthly specials. This month the coupon code is for FREE SHIPPING. Just use the coupon code SPRINGFREE16 at checkout to receive free domestic shipping. There is no minimum purchase amount. Each month I will try to post the code here, but it will always be posted on the Etsy Shop Announcements, Facebook, Twitter, and Instagram. 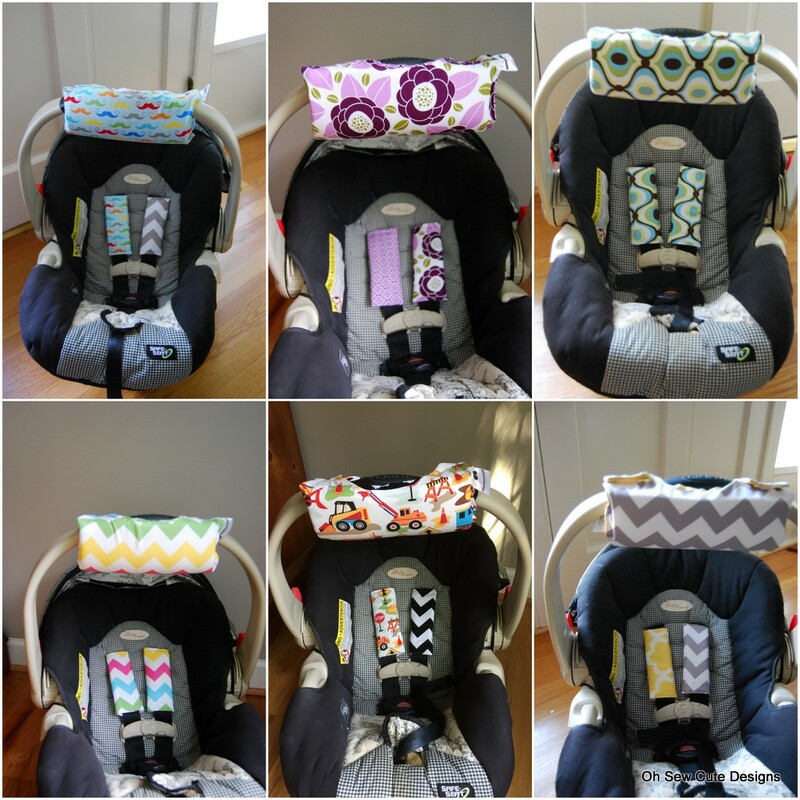 I have been working on adding more new design combos for the car seat accessories, along with what is already made and ready to ship. The ready to ship items will be labeled as such and they will ship same or next business day depending on purchase time. As always, I do have items ready to ship that are not yet listed. If you are ever in a hurry please do not hesitate to contact me to find out what I have already made. Now that we have recovered from all the fall events and the holidays, the Etsy shop is back open! New fabrics that arrived during the fall will be added to the car seat choices very soon and a few more new fabrics are on the way. This year in the Etsy shop all you will find is car seat accessories, bibs, and burp cloth sets. We are slowing down on the clothing part. You will still be able to find our clothes at the Divine Children's Shows in Raleigh, NC and Georgia, www.dcskids.com. The Raleigh Spring/Summer sale is February 2-4 at the Garden on Millbrook. Check here for more info, www.dcskids.com/raleigh/. The Georgia sales info is found here, www.dcskids.com/cobb/, if you live near Cobb County, Macon, or Roswell, GA.
We are ending our school year here, only one more week for the little guy and three more weeks for the big kids! There are a couple new items in the Etsy shop that are perfect for upcoming summer vacations!! I have always made the adult/big kid seat belt covers when asked, but never had a listing for them. Well now there is one, two actually! I have one with just cotton fabrics and one with just minky fabrics. You can definitely mix cotton and minky. Just put it in the message to seller section at checkout. I am going to also put up a kids selection of fabrics listing for the seat belt covers. I am getting in lots of new kids fabrics and some new minky colors. These are made with a little extra padding than the infant/toddler car seat strap covers. For safety reasons those are a little thinner, so they can be properly tightened. Great for little kids, big kids, and adults! Also new in the Etsy shop is READY TO SHIP Clothing!! I have several pairs of light blue seersucker pants, perfect for every summer dressy occasion, and boys rompers with applique. Also, some girls skirt and tee sets. I have more items that are not listed, so if you are interested in a ready to ship set or skirt, pant, or romper just let me know your size. I may have what you need in stock. Right after I thought we were out of winter, we got hit with another snow event. Actually two. Now it is finally Spring, so I think it is safe to say that all the snow is way behind us. Or I'm praying it is! I am working on some tees and bodysuits for the Etsy shop. I even have some girl dresses and boy rompers! I love the boy rompers and those will be up soon. Right now there are a couple Easter tees up, but not for much longer, and a couple summer tops. More is on the way. The bodysuits make great baby gifts! Some new fabric has just come in and I have added the first couple arm pads made with them. I have several more new arm pads and strap cover combos that need to be finished up and added to the shop. There is always the custom listing for the set or individual arm pad or strap covers if you want to create your own combo. I have also added a custom burp cloth set listing. This allows you to create your own perfect gift or set for your precious little one. Once again I am trying hard to be better at Instagram and Facebook, so if you are on either please follow us for all the updates on the new items and fabrics coming in! Finally the Etsy shop is back open! After a missed week of school because of snow and ice I am hoping that we are all back to a normal routine and winter will soon be over. My turn around time is 1-2 weeks, right now (as in this week) probably more like one week before it ships. Not all of my items are in the Etsy shop yet. I am still working on redoing some of the listings, so those will be up soon. I may or may not still have the clothing on my site and if I do it may be items that are already made and not custom orders. We are already starting to work on our fall event schedule and I am getting ready to order this years Christmas fabric. I can't believe I am thinking Christmas right now!! My goal this year is to post more and hopefully have some pictures of new fabrics as they arrive. You can also follow us on Facebook, Twitter, and/or Instagram for updates! Our next event full of great Spring and Summer clothing! If you are in Raleigh, NC, Atlanta, GA or Montgomery, AL then you have got to check out DCS (Divine Children's Show). This is a twice a year consignment sale that we are proud to be a part of. This sale has boutique overstock and gently used boutique consignment. Since we are located in Raleigh, we have overstock at this event and a side table and rack with some of our baby and new items. We hope to also have the baby items at the other sales in the future. This is a great place to purchase super cute boutique clothes for boys and girls at GREAT prices. You can volunteer and consign to shop early and earn some shopping money. There is also an opportunity to shop early if you bring grandma or are a new mommy! Check out the website for all the details, www.dcskids.com. I can't believe it's been 3 years since my last post!! It has been an extremely three years full of lots of growth and sales and I guess this site just got left behind. Oops. Thank you so much for your continued support and business through all of it! For 2015 we are doing things a little bit differently. Since so much has changed and we have been growing, we are trying to make it a little bit easier to order and purchase. The Etsy site is where 99% of our online sales take place, so that will be the place to make online purchases. That site will allow you to pay with credit card or PayPal. All shipping labels are printed from there and they will all have tracking numbers. You will always receive a notification when your items ship and messages through Etsy are always the preferred communication method. That is just faster for me when answering questions and getting notification of your message. On the Etsy site we will only have car seat strap covers, car seat arm pads, bibs, burp cloths, diaper and wipes holders, and appliqued clothing. We will not be offering custom ordering of pants and skirts anymore. There may be some listed on Etsy occasionally in specific sizes that are already made. We will still be making the pants and skirts, but they will only be sold at Uptown Kids in Raleigh, NC and at any shopping events that we will have a booth at. When an event is planned I will have a post about it to let you know when and where. If you are looking for a top and bottom set, just send me a message and I'll see what I already have made. Custom listings can be made on my Etsy shop and those will be made especially for you with your name on it. The Etsy site is currently in vacation mode because I am still getting everything back up and running after the holidays. There is a place on our shop homepage where you can sign up to be notified when it is back open. However if you are opposed to Etsy, you can always email me with your order and I can send you a Paypal invoice. Please just make sure you look at the Etsy shop and let me know EXACTLY, links are so helpful, of what you want and any information require. I do ask that you EMAIL me not send me a message or post through Facebook or Instagram. I am a wife and a mom to three boys (so really that's 4 boys) that I manage everyday and the less I have to keep up with the better! My email is ohsewcutedesigns@gmail.com. Thank you so much for your patience during our time of renewing our system. Hopefully everything will be back open by February. I will be much better at posting now and will update as much as possible.